Gems is a week-long day camp designed to dazzle and delight students by exposing them to the broad field of computing and its applications. Curriculum for the week will inspire young women to consider computing as a course of future study, and to teach them to see computation as a tool of creativity and self-expression. We focus on the specific content of the daily lessons to include an abundance of social communication and group problem solving. Each day offers diversity of setting and engagement, including lab work, classroom activities, and some field trips. Gems Camp is held over six weeks between June and July. Information will be posted on the CS Outreach Calendar. You can also email questions to cs-outreach@illinois.edu. In conjunction with Computer Science Education Week, and the Hour of Code global movement, CS @ ILLINOIS hosts an Hour of Code event that is open to the public and a great outing for the whole family. 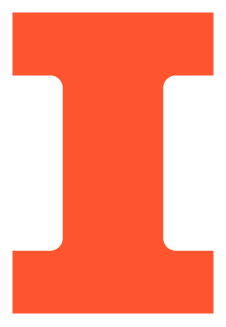 We use Code.org as the guided curriculum, and support is available from several CS @ ILLINOIS students, faculty, staff, and volunteers. The CS @ ILLINOIS Hour of Code event is held each December, and information will be posted on the CS Outreach Calendar. You can also email questions to cs-outreach@illinois.edu. CS @ ILLINOIS established the Central Illinois Affiliate of the NCWIT's Aspirations in Computing Program. This program is a talent pipeline initiative to increase women’s meaningful participation in computing careers by providing encouragement, visibility, community, leadership opportunities, scholarships, and internships to high potential technically inclined young women. Applications for the NCWIT Aspirations Program open each September 1, and the recipients are recognized each April in conjunction with our CS @ ILLINOIS Sail event. Information will be posted on the CS Outreach Calendar. You can also email questions to cs-outreach@illinois.edu.